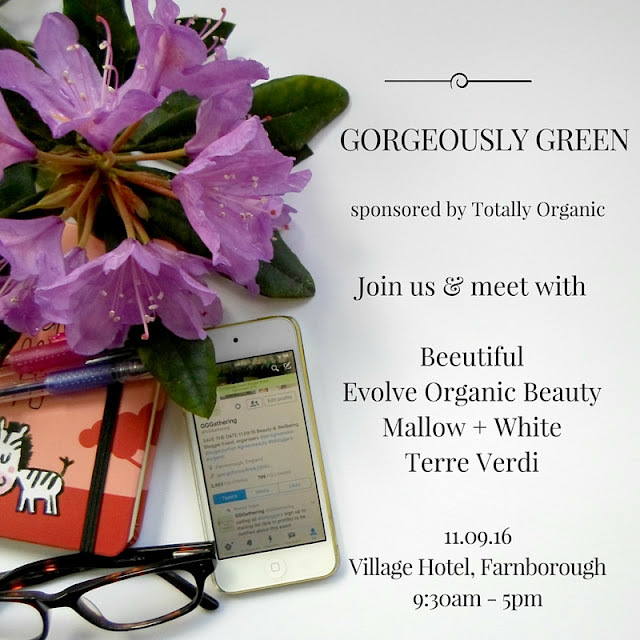 Event News: Gorgeously Green - Tickets on Sale NOW! If you want to come to this awesome Blogger event you will need a ticket so here's the information you need to buy one. We have 4 awesome speakers lined up and this is a full day event. We will be providing unlimited refreshments and snacks throughout the day plus a buffet lunch. We are providing unlimited refreshments, snacks and a buffet lunch. We will then send information on how to pay by PAYPAL and request that monies are received within 24 hours, should there be any issue with this please speak to us first. I know this part isn't fun but we want to be sure you are clear on a few matters before parting with your money. Tickets are non-refundable and no refunds for non-attendance on the day. We need to be strict on this because of room hire and catering costs. Room capacity limits the ticket numbers we can sell so it will be on a first come, first serve basis. After buying a ticket should you then be unable to attend you may pass on to someone else, we just request you keep us in the loop as we need to keep our delegate list up to date. If you have any doubts or questions then get in touch, we'd be happy to help!